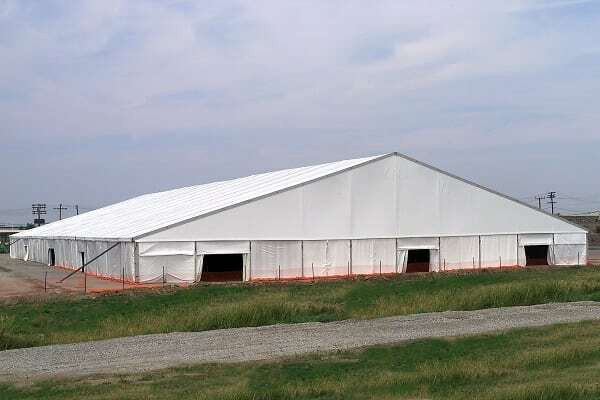 Regal’s large profile tents range from a 50m to a 60m width size. Each profile size can have any desired length in 5m increments. 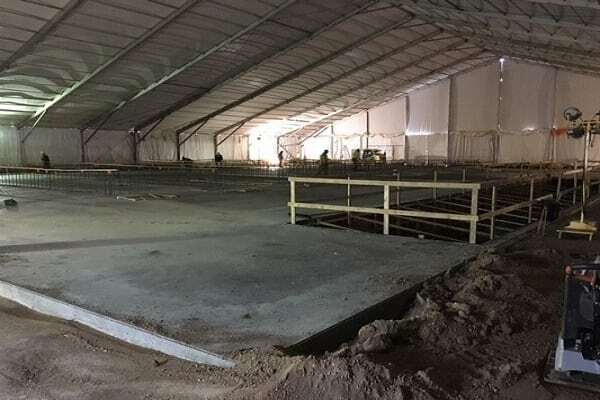 Our large profile tents are ideal for large-scale storage solutions and construction projects. 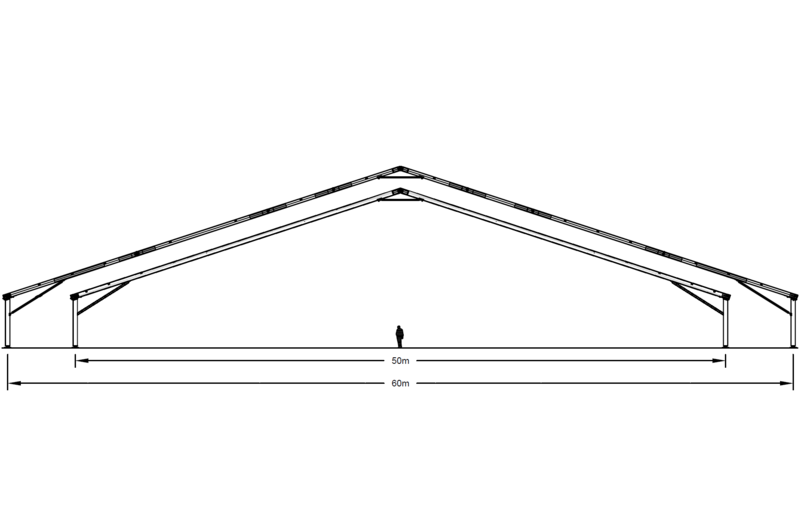 Our large profile tents have leg heights available at 4m (13′), 5m (17′), and 7.5m (27′).